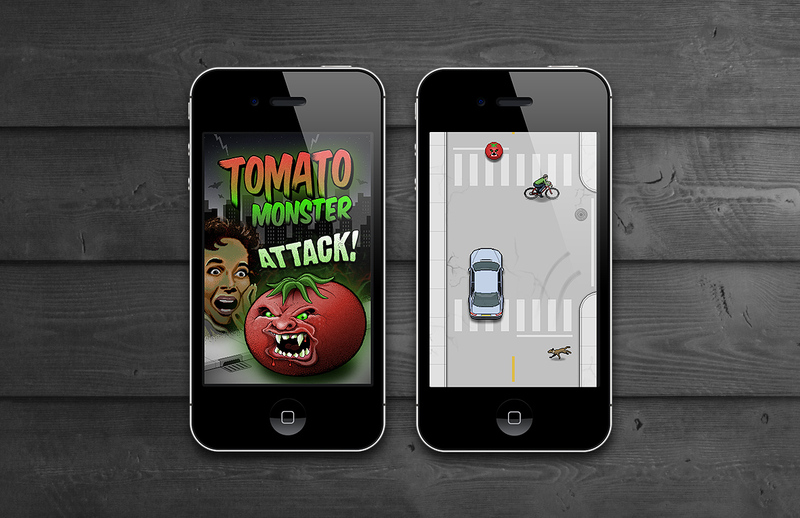 We were thrilled to be involved in the creation of this new Apple Iphone app/game available in the app store now. The game invovles rolling down a hill as a tomato monster consuming any object that is smaller than yourself as you get bigger and more indestructible. We designed 4 different levels and the title screen background and menus.